$1 million-plus home sales volume in California increased 21% in 2010 to 22,529, from 18,621 in 2009. This stands in stark contrast to the state’s drop in total home sales volume: only 418,578 sold in 2010, down 9% from 460,166 in 2009. Prices also dropped in tandem with sales volume. A jump in 2010’s sales volume of million-dollar homes can be attributed to wealthy homebuyers bargain hunting as prices dropped in the high-tier home market. While low- and mid-tier homebuyers struggle with jobs, housing prices and interest rates, high-tier buyers are not as concerned by these issues. Rather, their portfolio wealth, hugely enhanced by stock market levels during the past 18 months, is a factor when deciding to buy.Other noticeable changes occurred in last year’s million-dollar home market. Cash sales accounted for 29% of million-dollar sales (the highest since 1994’s 32% figure). Lack of jumbo loans has been the problem. More significantly, mortgage defaults on homes encumbered with at least $1 million on foreclosure increased 14% from 2009, driving high-tier homes onto the market that could not previously be sold for lack of an equity or short sale. Million-dollar home sales volume growth coupled with the median price produces a misleading trend. Increased foreclosures of high-tier property last year put more of that inventory on the market and in turn drove prices down on that tier of property. The sharp rise of million-dollar sales that followed overweighed the drop in the volume of all other home sales and pushed the median up, the mathematical abstraction aberration. The result is a deceptively high and overoptimistic number touted by some to represent a healthy real estate market when in fact, prices and sales volume in California have been dealt heavy adverse blows since mid-2010. 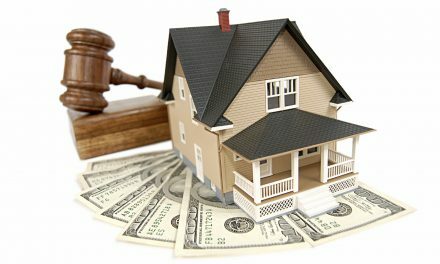 May a trustee for an estate in bankruptcy calculate their compensation based on the value of a credit bid for property? Very good observation Tara. Also now that the over million short sales can occur look for more of them to hit the market as well in upcomming months.